WHY CHOOSE OUR SURFACE MOUNTED TACTILES? At GripClad, we understand what it needs to maintain compliance with the Equality Act 2010. We have worked in a number of industries ensuring that their premises are both safe and compliant. Our tactile pavers are easy to install and require very little maintenance. 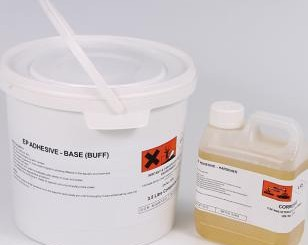 The fast curing, colour-match adhesive sets within 2 hours and can even be applied in damp environments. Suitable for most standard surfaces including asphalt, concrete, ceramics, steel and wood with no surface excavation required. Tactile Pavers provide many benefits. Please see below for a select few. Can be installed even in damp conditions. 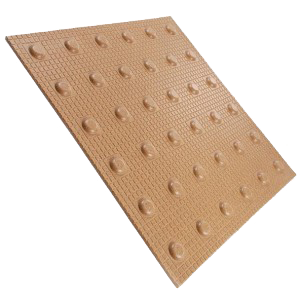 The GRP blister surface of the tiles provides a warning to visually impaired people. The surface is therefore an essential safety feature for this group of road users at pedestrian crossing points, where the footway is flush with the carriageway to enable wheelchair users to cross unimpeded. The purpose of the corduroy surface is to warn visually impaired people of the presence of specific hazards; steps, level crossings or the approach to on street light rapid transport (LTR) platforms. GRP Corduroy Pavers are also used where a footway joins a shared route. It conveys the message: Hazard, proceed with caution. This Tactile is used to advise visually impaired people of the edge of all off-street railway platforms. The blister surface can be read by foot or cane, warning of the approach to a rail platform edge. Tactile pavers must adhere to strict regulations for size, angle and position. Find out more about tactile paving regulations. 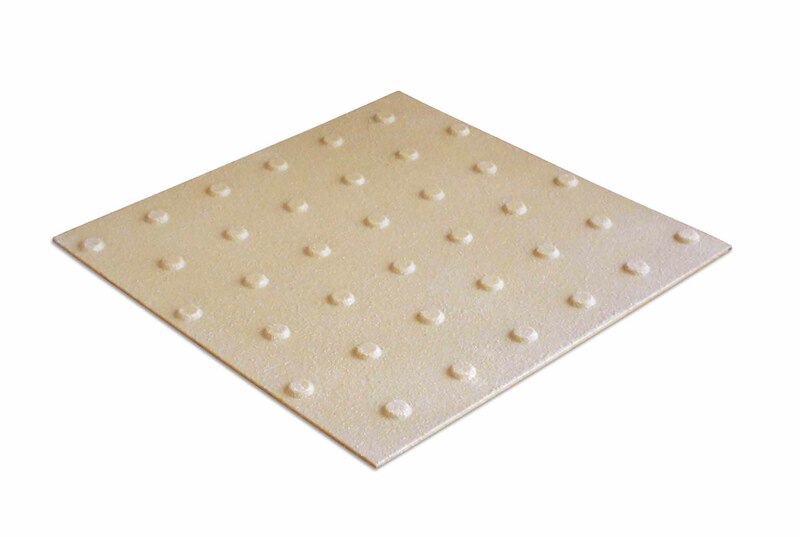 For advice on which GRP tactile paving slabs are right for you, get in touch. Our GRP tactile pavers are easy to install and require no excavation. Instead of concrete or cement, our tactile pavers use epoxy and polyurethane adhesive.